After 25 years of serving the University of Wisconsin Police Department, UW Police Chief Sue Riseling will retire in August to lead the International Association of Campus Law Enforcement Administrators. 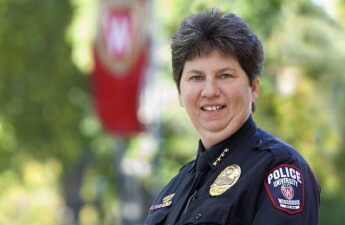 Riseling became chief in 1991, making her the first woman and the youngest person to lead a Big Ten university police force. 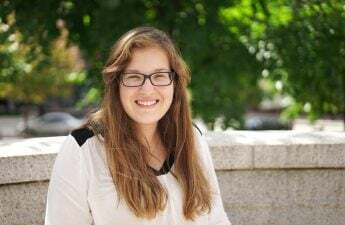 During her time at the university, she dealt with necessary security improvements after 9/11 and the rise of university shootings. Riseling led efforts to put in place emergency notifications, threat assessment policies, crisis drills and active shooter trainings. Campus crime rates also dropped to a 40-year low. “I appreciate all of her work to keep our community safe, to train and lead a superb group of police officers, and to navigate an always-complex political environment,” Chancellor Rebecca Blank said in a statement. After her retirement, she plans to lead IACLEA, a group which advances public safety for educational institutions by providing educational resources, advocacy and professional development services. Assistant Chief Brian Bridges will serve as interim chief beginning after Riseling’s last day August 7.